Anime Diet + Lacoste LIVE: Wednesday May 29, 7-9 PM! 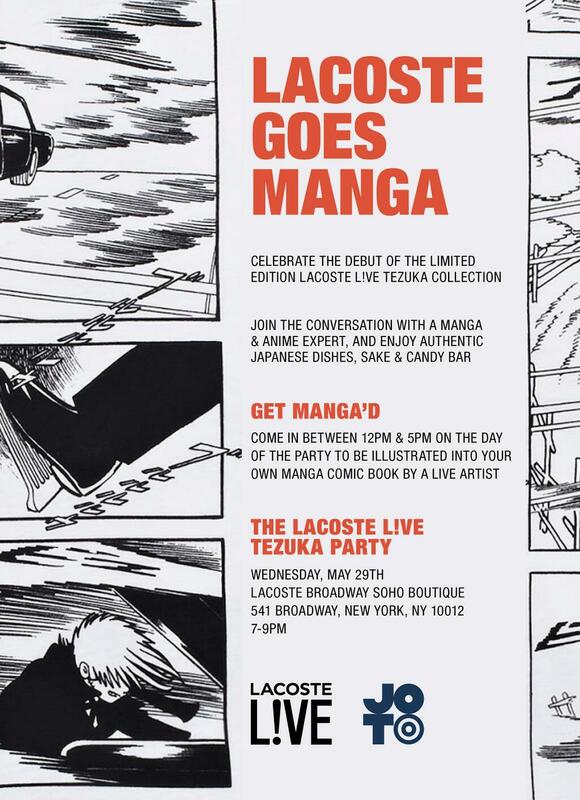 We are proud to announce that on Wednesday, May 29, 7-9 PM, we will be taking part in Lacoste’s NYC launch party for their new Osamu Tezuka inspired clothing and shoe line! Gendomike will be giving a half hour talk about Tezuka, the history of anime and manga in America, and the influence it’s had on culture (including clothing and fashion). Tell everyone you know who might be interested to join the party! There will be snacks, food, and drink available. More to come in the next couple of days! See you there.